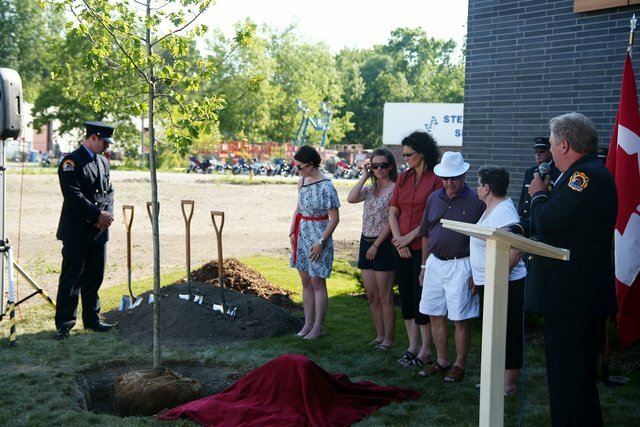 This article is 2505 days old. 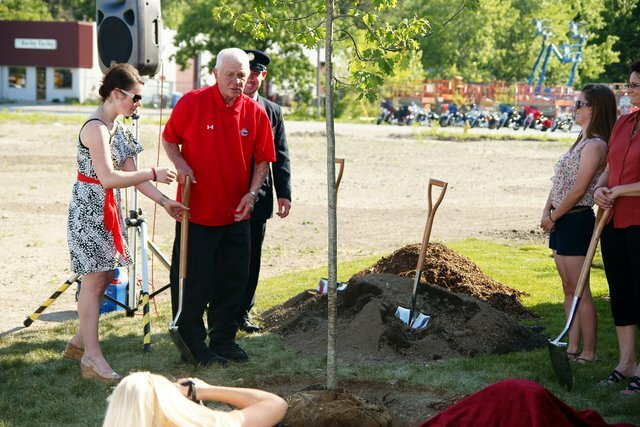 Windsor Fire & Rescue Services held a tree planting ceremony in honour of Windsor Firefighter Darrell Ellwood, Saturday evening. 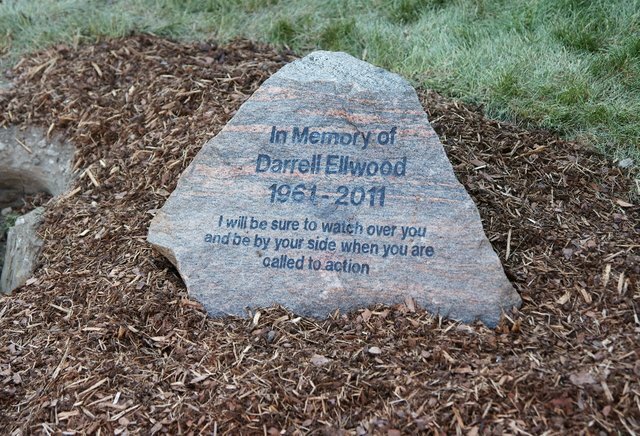 Ellwood, who was diagnosed with Multiple Myeloma on October 24th, passed away on December 25th, 2011 after a courageous and hard-fought battle. 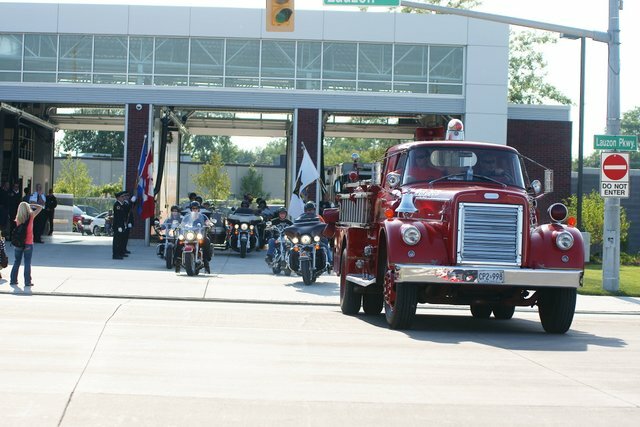 Darrell’s passion was firefighting and he served as a firefighter for over 31 years. 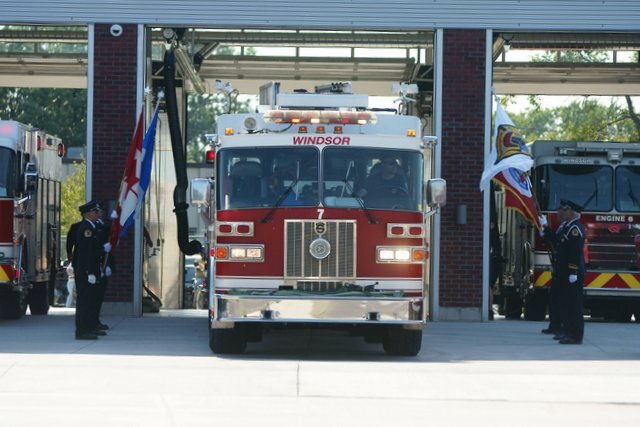 He began his career with Kingsville Fire Department when he was 19 years old and joined Windsor Fire and Rescue Services in 1993 where he worked until his death. 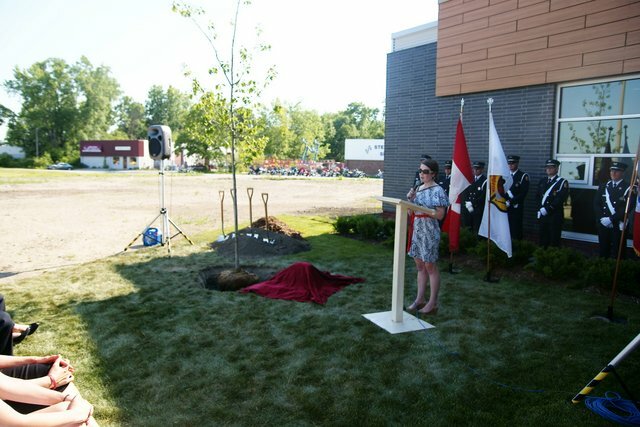 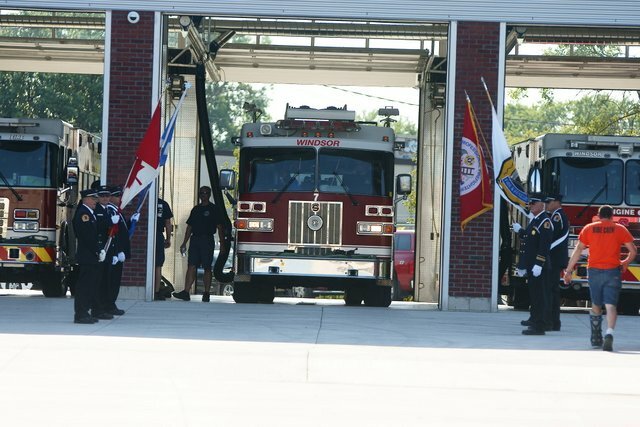 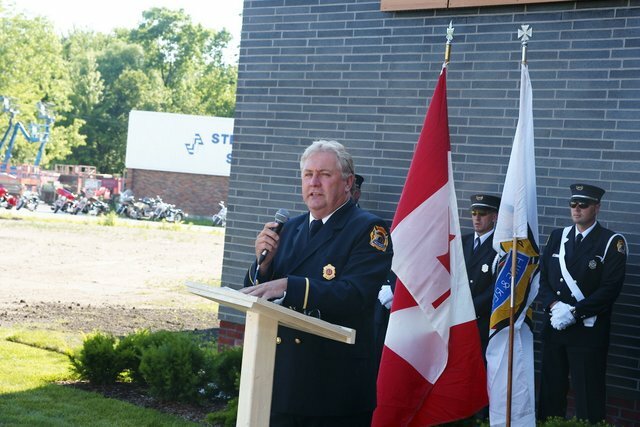 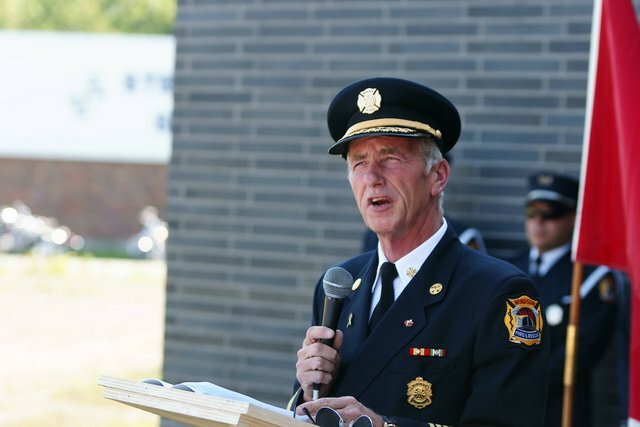 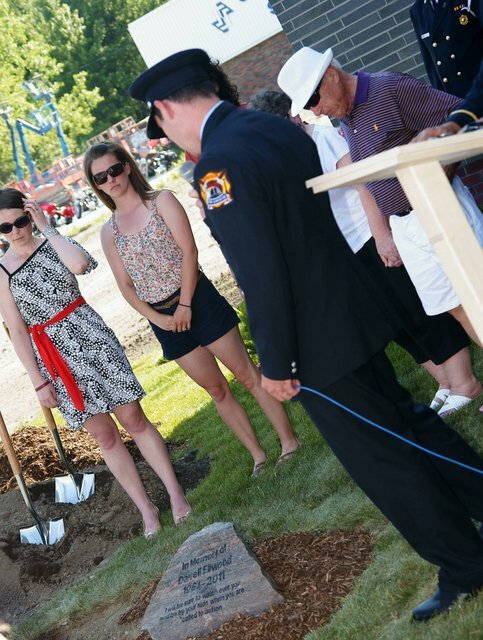 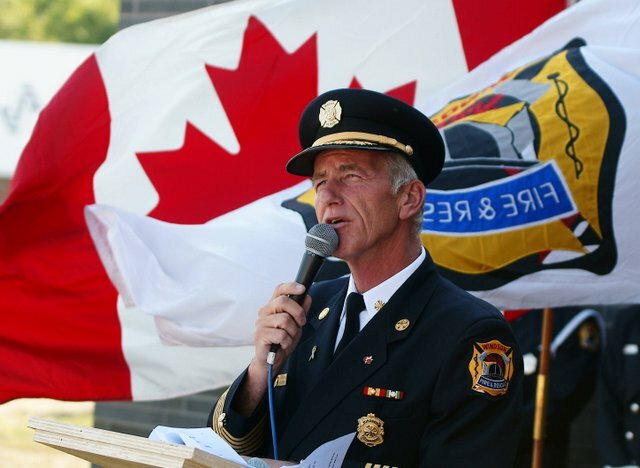 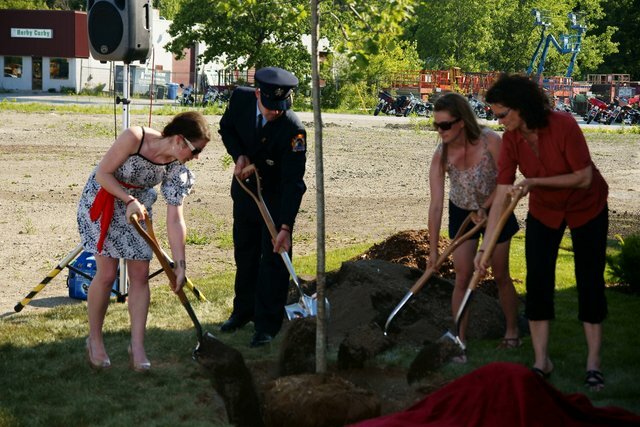 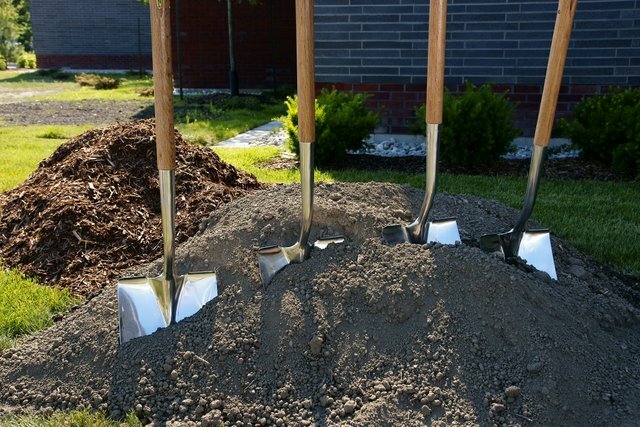 Fire Chief Bruce Montone gave a tear-causing speech in honour of Ellwood and family members planted a tree on the lawn of the new Windsor Fire Station #7. 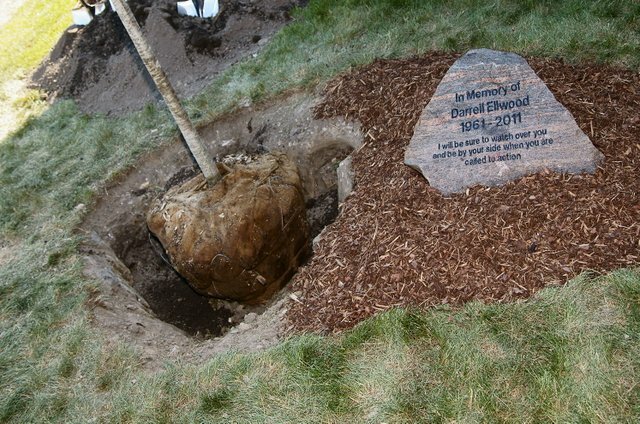 A commemorative rock courtesy of Jobin Rock Farms was placed adjacent to the tree. 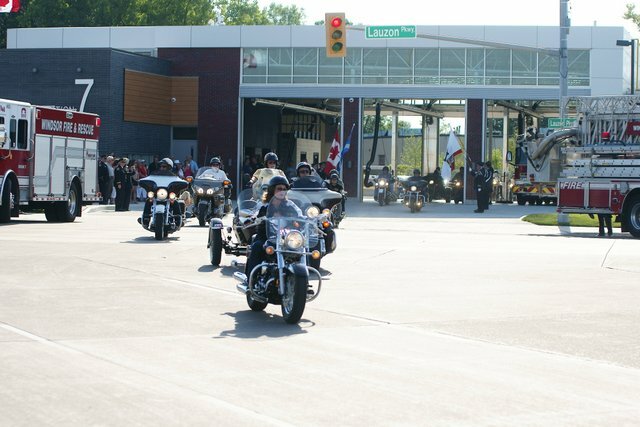 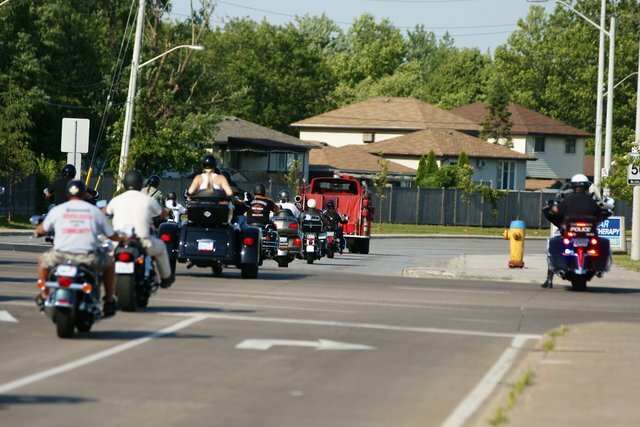 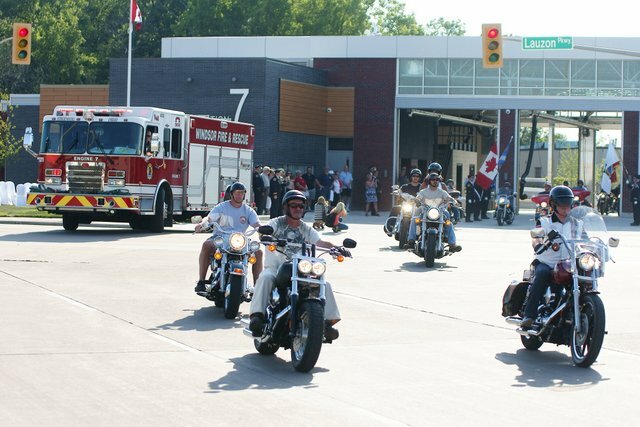 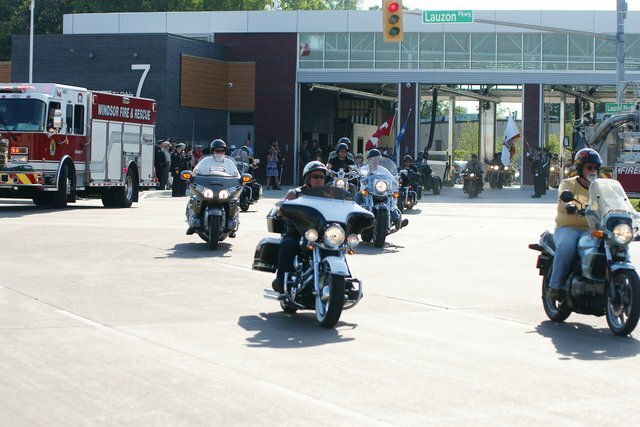 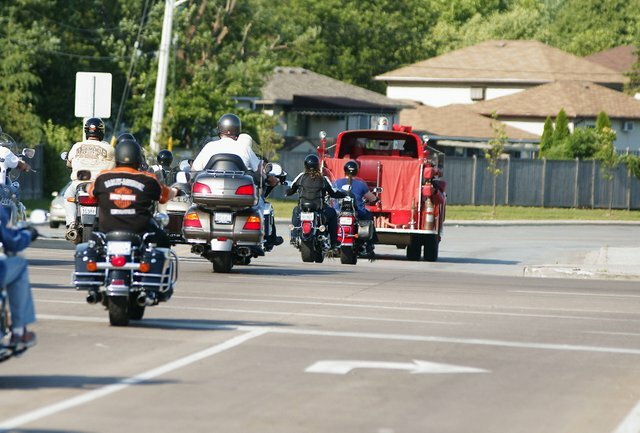 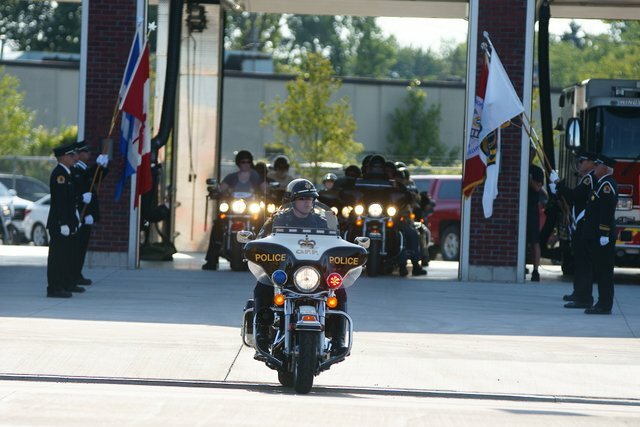 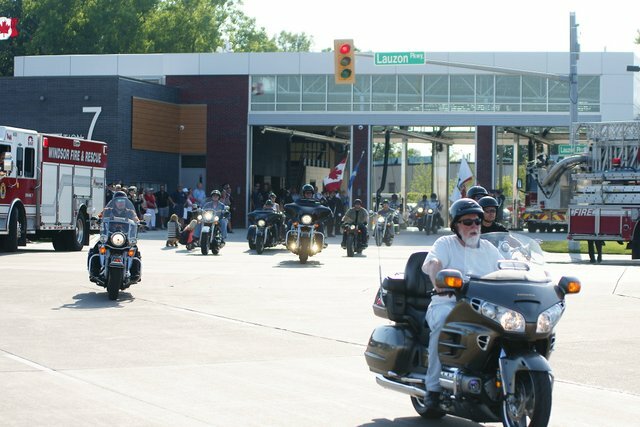 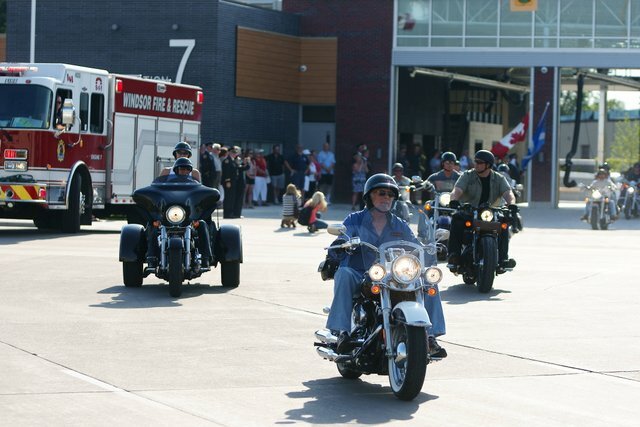 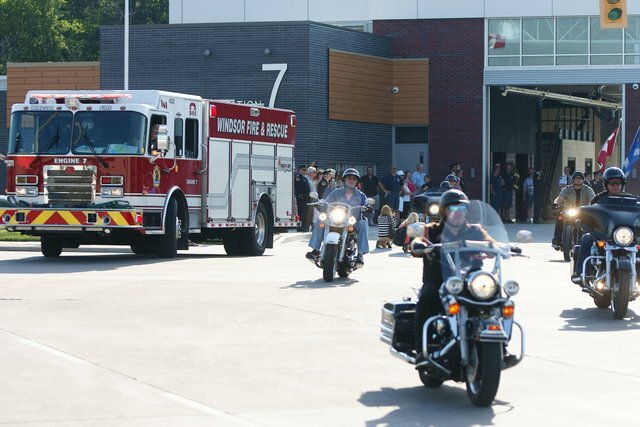 Firefighters honoured Darrell with a commemorative motorcycle ride across Essex County before making their way to a celebration in Darrell’s honor.